STOP SNORING… WORKS FROM THE FIRST NIGHT! ONIRIS® is an innovative and patented mandibular advancement device designed to provide maximum levels of comfort and efficacy. The device – similar to a mouthguard for sportsmen or a dental splint – gently retains your lower jaw in a forward position during sleep. It therefore allows air to pass freely through the pharynx and prevents the obstructions that cause snoring and sleep apnoea Numerous clinical studies have shown that this technique works. ONIRIS® is the only solution to offer patients a customised fitting and total freedom of movement for a comfortable and effective adjustment. The result: a truly effective solution for snoring and sleep apnoea. And enjoy once again comfortable and peaceful sleep. By reducing your level of tiredness, the ONIRIS® device also helps raise your awareness of sleep apnoea problems. *In case of actual or suspected sleep apnoea it is essential to consult a specialist to perform a sleep check examination with and without the ONIRIS® device to objectively confirm the effectiveness of treatment. Lots of anti-snoring products make promises. ONIRIS® offers results. 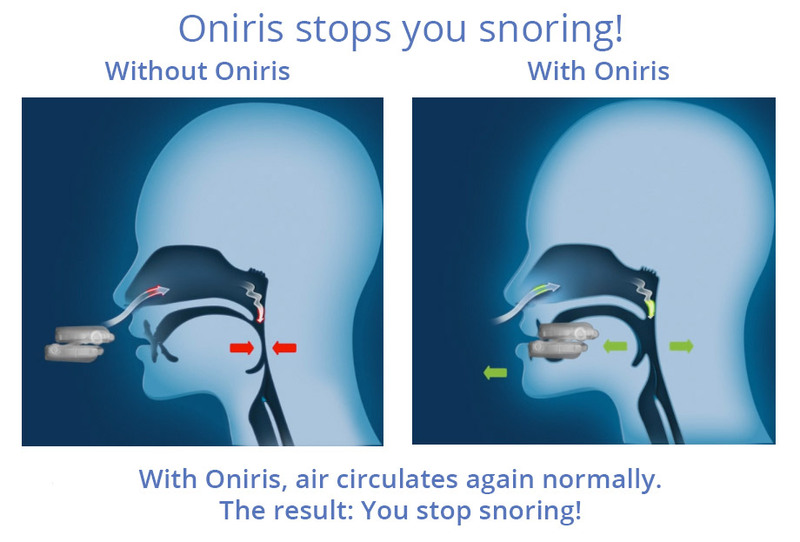 The ONIRIS® device is the only self-adjustable anti-snoring device whose efficacy has been assessed and proven in hospitals and clinics by sleep and ENT specialists, which also offers freedom of movement. This reliable and serious clinical study has been conducted, in particular within the AP-HP (Public Assistance-Paris Hospitals), controlled by an independent laboratory from a protocol approved by the French Health Products Safety Agency Committee [AFSSAPS], the Ethics Committee South Med IV, the French Advisory Committee on Information Processing in Material Research in the Field of Health (CCTIRS) and the French Data Protection Authority (CNIL). Everyone is familiar with snoring. It is extremely embarrassing for you, your partner and those around you. But there is something, much less known and much more dangerous, of which snoring is often a sign: obstructive sleep apnoea (OSA). It is a partial or total obstruction of the passage of air in the pharynx during the night. Specifically, your breathing is blocked for 10 seconds or more (as if you held it in). And this can be repeated dozens or hundreds of times per night. This causes micro-awakenings. And a drop in the oxygen rate in the blood. You sometimes feel intense fatigue. The accumulation of which becomes dangerous (particularly when driving). But this is not all: high blood pressure, cancer, stroke, depression and libido problems, etc. The consequences can be very serious and cause premature death. The problem is that sleep apnoea is under-diagnosed. 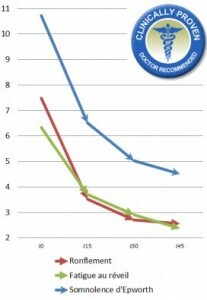 According to the sleep report by the Ministry of Health and Solidarity (2006), 85% to 90% of patients are NOT treated. And therefore, unaware that they are suffering! If you are suffering from sleep apnoea, it is important that you should consult a specialist doctor. Risk of road traffic accidents and in the workplace multiplied by 5 in the case of apnoea because of a decrease in vigilance linked to a lack of sleep. You can open your mouth and talk normally without feeling any sense of discomfort. You can breathe normally throughout the night, even if you have a cold. Which is not the case for many other devices on the market that completely or partially prevent the opening and breathing through the mouth. Which, in addition to being very uncomfortable, makes them completely unusable if you have a blocked nose. Between the times when you open the mouth and the unconscious movements of your jaw during your sleep, there is the risk of losing your device during the night. Which can wake you up and/or restart the snoring (as you are no longer wearing the device). And that is what happens with a lot of traditional devices! That is why ONIRIS® has been designed to support these natural movements. Consequence: no risk of losing Oniris during the night. No sudden awakening. And effective anti-snoring which lasts the whole night. ONIRIS® perfectly fits your mouth.. Many clinical studies have demonstrated this. To be efficient and comfortable, an anti-snoring must be adjusted to each user’s teeth. Pressure is distributed across all the teeth, which prevents it from moving and causing toothache, meaning the device stays in place all night long (and therefore remains effective). Unfortunately, this is not the case for many devices on the market. ONIRIS® is the only ready to wear anti-snoring device that fits perfectly in your mouth with a dental impression actually custom-made while offering true freedom of movement. ONIRIS® is thermoformable. This means that the materials used will fit your teeth perfectly when taking the dental impression. No worries. Everything is very simple, risk-free and explained in the leaflet. It only takes a few minutes. And above all, the operation is repeatable! This means that if you have made a mistake or you get a new dental device, bridge, etc. and your dental impression has changed, there is no need to buy a new anti-snoring device. With ONIRIS®, you just need to make another impression! With ONIRIS®, the quality of “the dental impression” is equivalent to custom-made devices made in a laboratory. And which cost several hundreds or thousands of euros. And especially, in contrast to the latter and other anti-snoring devices, the fit is very simple and can be repeated! ONIRIS® now also routinely comes in two sizes (standard and small) for the same price! You just need to try both sizes and choose the one that is most comfortable for you. So you get a better fit and excellent comfort. The process is quick and simple. In just a few minutes. No risk of error. The taking of an impression can be easily re-done. For the same reason that there are several shoe sizes, ONIRIS® is the only thermoformable anti-snoring device that permits you to personalise your mandibular advancement from 0 to 15 mm with a 1 mm accuracy. While maintaining real freedom of movement. This may seem a little technical, but in fact, it is one of the recognised and recommended criteria (by the European Sleep and Research Society) to ensure the effectiveness and comfort of a device. If the advancement is not adjustable, it doesn’t fit in your mouth and you will not be able to wear it. If the adjustment is insufficient, it reduces the effectiveness on snoring. And if the adjustment is too much, it can be uncomfortable. That is why due to its patented system, Oniris allows a perfect fit to your jaw and your mouth. The device has a simple, quick and easily re-adjustable adjustment system. Recommended by European, Japanese and American Sleep and Research Societies, etc. The efficacy and adaptability of a custom-made device… for a tenth of the price! There are custom-made devices to treat snoring and sleep apnoea, in addition to self-adjustable devices such as Oniris. They are made at the unit, from your dental impression, taken by your dentist. Custom-made devices are very efficient and comfortable in the long term. 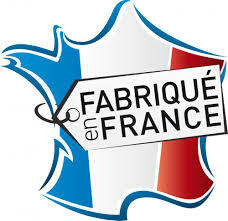 We can assure you, our laboratory has specialised in their design for more than 10 years and has received approval from the French Health Authority. The problem is that custom-made devices are very expensive! 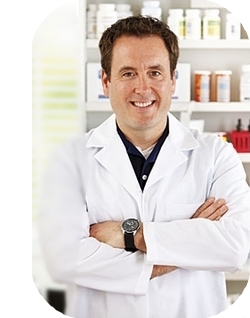 the manufacture and visit to your dental specialist costs between €600 and €1000. An amount which is only partially reimbursed (approximately €300) and only if you have been diagnosed with severe sleep apnoea. Which is why we wanted to design a self-adjustable device using our expertise to combat snoring and sleep apnoea which is accessible to all, but with an efficiency and a comfort equivalent to a custom-made device. To enable you to save hundreds of euros for comparable results. 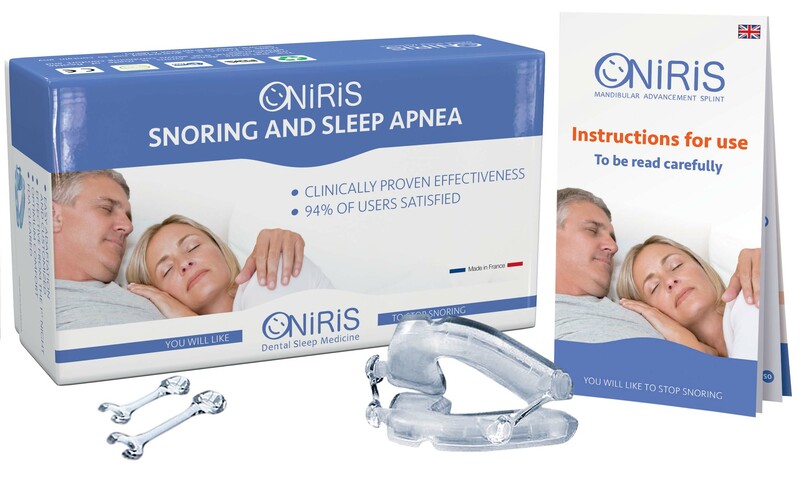 ONIRIS® was developed by a French laboratory with more than 10 years’ experience in the design of custom-made devices for snoring and sleep apnoea, approved by the French Health Authority. This expertise, as well as regular work with thousands of healthcare professionals (dentists, ENT specialists, pulmonologists, pharmacists etc.) have enabled us to take the best custom-made devices that we make in the laboratory and improve them to develop ONIRIS®, without doubt the best mandibular advancement device for snoring or sleep apnoea. Today with more than 50,000 patients supplied with the ONIRIS® device, our laboratory is positioned as a leader in dental sleep medicine. Already more than 50,000 users! Unlike other products on the market, the ONIRIS® device is made in accordance with the international medical quality standard ISO13485. This means that its manufacturing process has been validated by an independent body, which certifies the safety and quality of medical products. Furthermore, unlike many other anti-snoring devices, it has been designed using flexible CE certified biomedical materials also validated by the FDA in the US, and is BPA, latex and silicone free, to offer maximum long-term safety. Therefore, there is no risk of allergy or unpleasant feeling from using it. Flexible, medical quality materials. FDA and CE certified. Guaranteed BPA, latex, silicone and metal free.